As I started to envisage what Time4Learning was going to be, I felt that I needed an animated character to be the “face” of Time4Learning. This site is about the creation of Ed Mouse. How far can this animated character go? Artists’ interpret Ed Mouse with Character Art. What is Time4Learning? 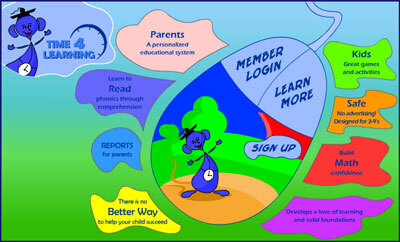 Time4Learning is an online educational program for Homeschool , summer study, or Enrichment. More generally, Time4Learniong is the concept driving our company. It’s time for our educational system to improve. Time4Learning’s educational program is proven successful for virtually all types of children. Time4Learning provides support whether your child needs help with basics or advanced activities for the gifted. Time4Learning is also an endless supply of game software. But they only get to play after they have completed the day’s lessons.